Sorry. I couldn’t resist. 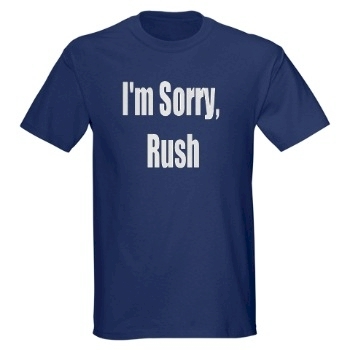 Now you too can grovel before the Dear Leader, Rush Limbaugh. Get your T-Shirt at the Twin Cities, Minnesota Blog shop.